Live music in the bar Friday and Saturday evenings. Solo guitarist During Sunday Brunch. Join us for Happy Hour From 3-7 pm Daily. 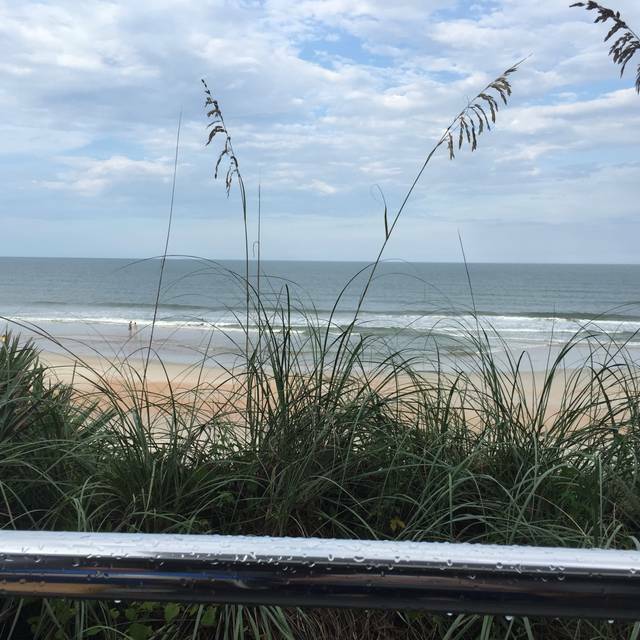 Our oceanfront bar features discounted drinks and appetizers. Or start your evening with one of our bartender's Signature Special cocktails. What a great way to start your evening!! Wine ClassesCost: $30.00 per class, $100.00 all four. (additional $15 fee for some classes) •Sept 14: Real vs. knock-off. How grapes varietals vary away from their region of origin. •Sept 21: Wines for the holidays. Get a head start on the festive season. •Sept 28: $50 bones and then some. Exploring Wines costing $50 or more (additional fee applies) •October 5: Sparklers, desserts and Ports. Adding that special touch to a dinner party. The Reef, originally called Compton's, was built by the Usina family on a beautiful piece of oceanfront property in tranquil North Beach--three miles north of the Usina Bridge--on land owned by the family for generations. Compton's opened in 1989 and enjoyed great success for the next ten years. It closed in 1999 due to the ill health of Mr. Compton and hurricane damage. 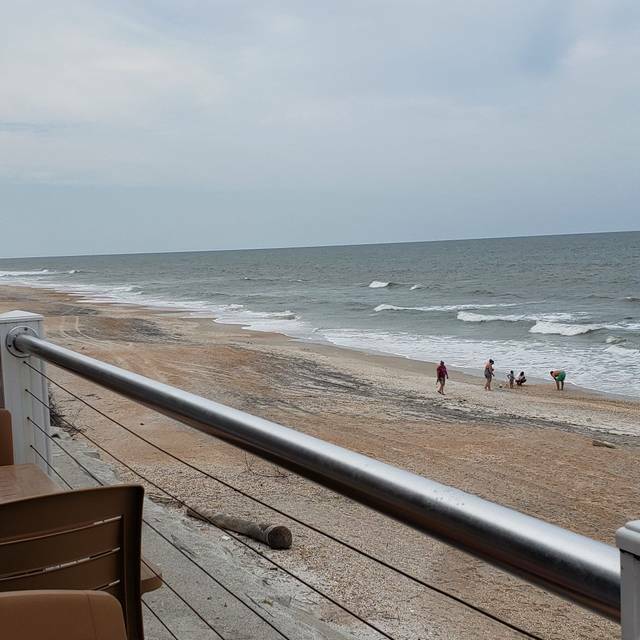 There are few remaining true Oceanfront restaurants in Northeast Florida, and of those The Reef, reopened in 2002 under the direct ownership of the Usinas, commands the most spectacular views. 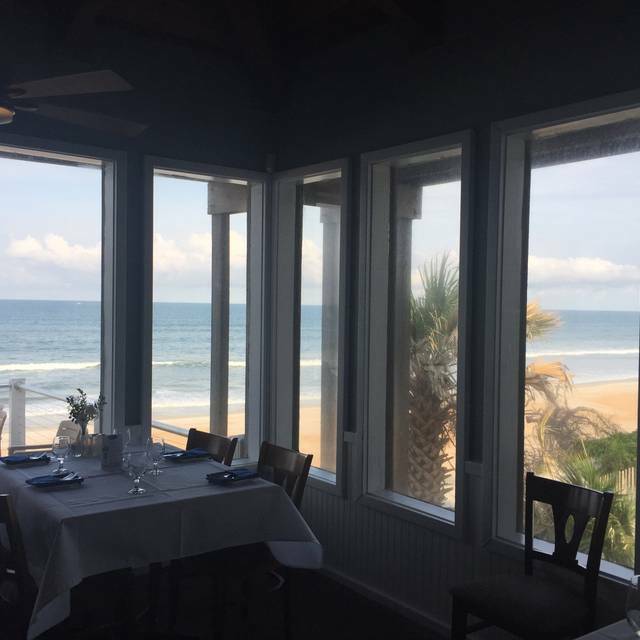 Sit at any table inside and the view is dynamic to say the least, or enjoy the recently rebuilt and expanded deck where you not only look out at The Ocean, you listen to it too as the waves break and the birds cry. To complement this vista Chef Bob Henle has created a menu primarily of fish and seafood balanced with beef, poultry pasta and creative specials, always fresh and sourced locally whenever possible. This was our first time here. After a misunderstanding about my request to sit outdoors we were seated at a nice table overlooking the beach and ocean. Our waiter Ryan greeted us promptly and we had our happy hour wine and appetizers in no time. He made excellent recommendations about the food and we were all very pleased without choices. I had the seafood risotto, my husband had the seafood pasta and our daughter had the salmon. All delicious. My husband and daughter liked the brown bread that was served but I wasn’t a fan. It didn’t really matter because I didn’t need bread-my meal was full of shrimp and lobster tail. The blueberry Creme brûlée was small but delicious. We also had the chefs special carrot cake. It was a cute individual size cake instead of a slice but was very dry-but had good flavor. All in all we were very pleased with the food, atmosphere and service! Ryan is a great server! Great view of the ocean. Dinner was perfect. Food was good, just.a little pricey. Great view and great service! Wonderful evening and the only complaint was the noise level. Several tables of 6+ nearby but they weren't exceptionally loud.....it seemed to be the room itself. That said, wonderful fresh seafood, attentive service, good flow, wonderful experience. 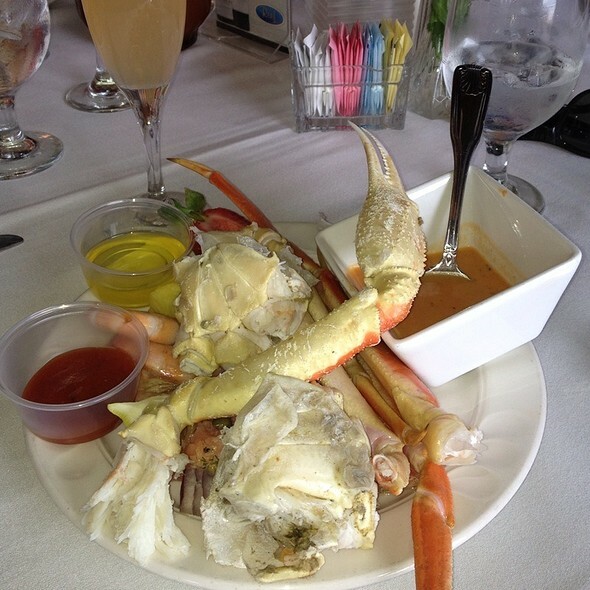 Located aside the ocean, this restaurant has a varied menu, excellently prepared and presented. The Reef is a must-visit if wanting to escape the ordinary, and live it well! Excellent selection of food and great quality. 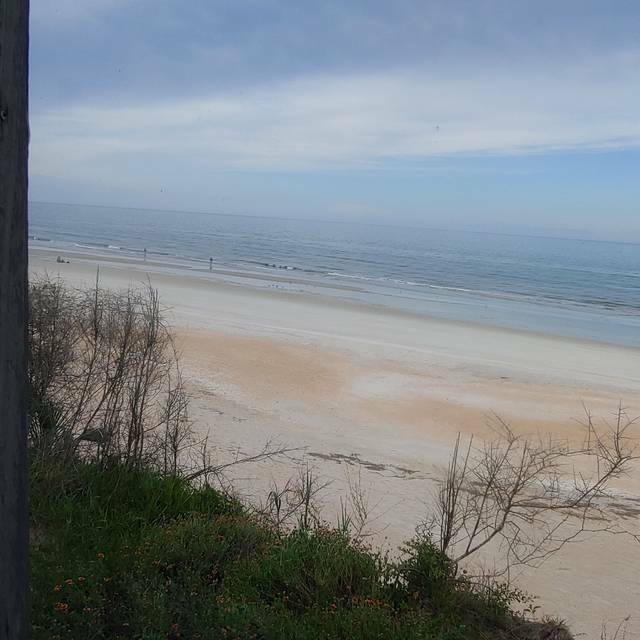 We had an awesome view of the beach. The live music was great! I would definitely return again! Great food, atmosphere, and staff. Our server, Douglas, was fantastic. Some friends and I visited on 4/14 for the "Sunday Brunch" at The Reef- wow wow wow! We had a great time! For $40 pp , you get endless mimosas and some really tasty food! Highly recommend the waffles, omelette station, prime rib station, peel and eat shrimp, scallops. You are dining with a great view also! We will definitely return for the brunch. Food and service was very poor compared to previous visits. Not a good value for the money this time. 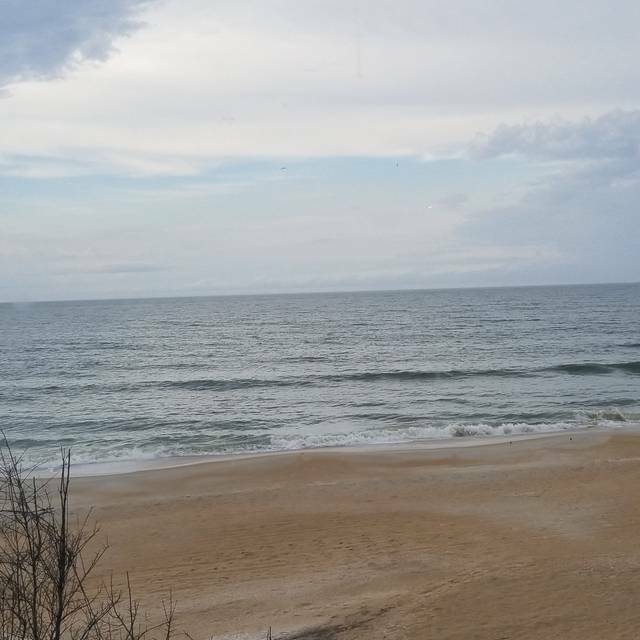 Had a wonderful meal and enjoyed amazing views of the beach and Atlantic Ocean. Service could not have been better. I will be certain to get back there every time I’m in the area. Thanks for a memorable meal and I wish I could recall the name of our waitress as she was outstanding! View was great, outdoor table looking at the ocean, service was awful. I thought most restaurants made their money on alcohol, we couldn’t get a waiter to even order drinks or food then the appetizer arrived and we still had no drinks. The Reef is an outstanding restaurant with wonderful atmosphere over the ocean! If you are in town please take the time to stop by. Excellent Food, great service. A must if staying on Vilano! Service was poor. Server also had a very disheveled appearance. We have been to the reef several times in the past and always enjoyed. This time food was ok. Crab cakes were not good at all. We like that they take reservations. 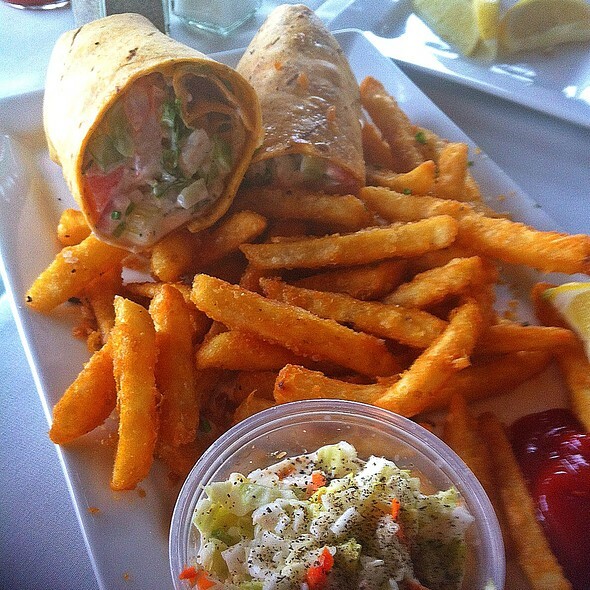 The food and drinks are consistently good. There is frequently music at the bar. And you can't beat the view! Outside deck at sunset, perfectly beautiful! Matthew was a gem of a server. Fried shrimp was perfect. Mai Tai was perfectly tasty! Love this place, will go back. We enjoyed the ambience, the scenery and the food; we plan to return as soon as possible. We had hoped for a nice birthday dinner. The food was average for the price. The service was great., but when the food is average, it makes for a less than great birthday dinner for my wife. Highly recommend. Everything I’ve tasted had been delicious. Best scallops I’ve ever eaten. Wish it were closer to where I live. We have gone to the Sunday Brunch at the Reef, for many years, when we visit here from Michigan. We love the flowing champagne, very wide assortment of food, to cover from breakfast to dinner! The shrimp, crab and salmon are delightful. The pastries are great. But my favorite are the cheesy, Datil grits! Music is pleasant, and staff very helpful. We will return next year! Very nice dinner at Reef. 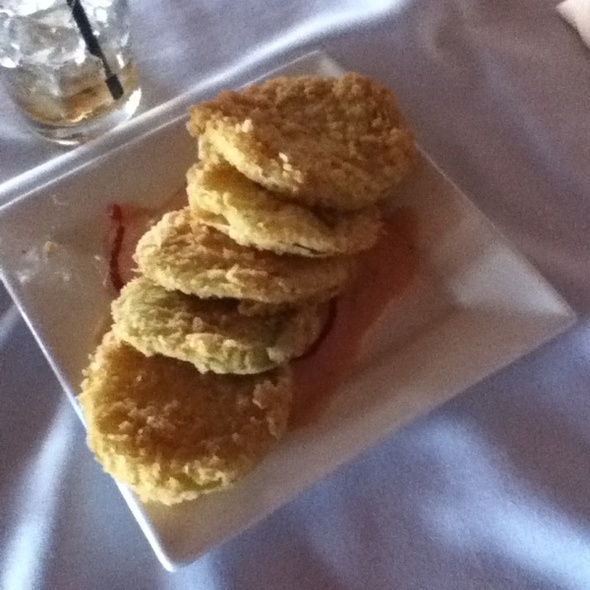 Had Fried Cheese appetizer and it was great. Main courses were Grouper Caprese, North Beach Mahi, Seafood Trio and Prime Rib. All of them were well prepared and delicious. Server was James and he was attentive and fun. The setting was beautiful but the food was not. The fish was overcooked and dry. It was so loud in the room that you could barely hold a conversation and some started getting a headache. It definitely did not live up to it's hype. Great restaurants have bad moments but our meals and service at The Reef rank as one of our worst five dining experiences. The staff was friendly but it's impossible to accept a fifty-minute wait for two poorly prepared meals. Food was very good but when the air conditioning fan comes on it is pretty loud and annoying. It has been doing that for years but the food is good, the view is great, and the service is good. The Key Lime pie is my family's favorite dessert there and they get it everytime. Beautiful ocean view and great service. The food however left much to be desired. The prime rib was tough and the grouper my friend had was overcooked. Two of the four had the 8oz prime rib. Very chewy and grisly. One had the seafood pasta and it was very rich. One had the special Sea bass and it was very good. I will go again but stay away from the beef meals. Food and service is always very good and the ambiance worth the price. Issues with a special request for seating through open table via a substitute host dampened the evening. Amazing brunch spot. You can't beat the views of the ocean. Delicious food and great spread overall. Wonderful service as well. Service was really slow and our waiter forgot to bring us our wine, until the food started coming and we reminded him. Very nice dining experience. Attentive staff, great food, great views. The food was excellent. The ambience was awesome. The view fantastic. The staff catered to us. Overall the dining experience was a hit. We tried The Reef based on Yelp reviews that it was the best seafood waterfront dining in the area. Well, then there must not be any good waterfront seafood places in the area. Actually, we've been to the Chart House in Jacksonville and that was much better. The food here was so so; could do as well at home and I am not one to prepare seafood well. The shrimp were very small. 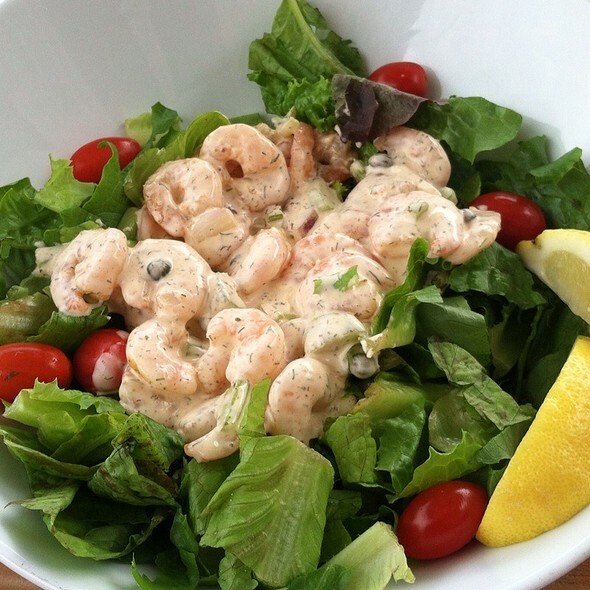 Skip the shrimp appetizer. I wish there was a salad with the meal. Didn't see an option on the menu for a small dinner salad. The service was terribly SLOWWWW. We were tucked off in the corner and our waiter just couldn't seem to take the extra steps to that corner of the room very often. The food took almost an hour to come out after we'd ordered. We won't be returning.